NEW BRITAIN - The Parks, Recreation, and Community Service Department’s Summer Music Festival kicks off Monday with Vinyl Revolution. From 7 p.m. to 9 p.m. each Monday and Wednesday this summer, area bands will perform at the Darius Miller Band Shell in Walnut Hill Park. The free concert series will run through Aug. 29. Concessions will be available in the park, and concertgoers are encouraged to bring lawn chairs and blankets. The rain date for Monday’s concert is Tuesday, July 3. Vinyl Revolution performs hits of the biggest rock groups of the 1970s. It has appeared at many venues throughout the state, including The Atrium at Foxwoods, main-stage performances at the Hebron and Berlin fairs, and the Southington Apple Harvest Festival. The band has also performed in New Britain at Trinity-on-Main. 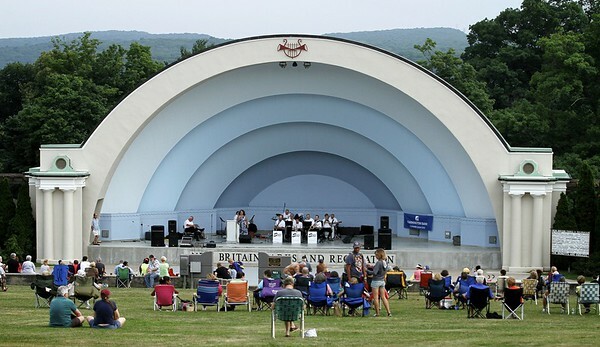 For more information on the concert series, call the New Britain Parks and Recreation Department at 860-826-3360 or visit www.nbparksnrec.org . Posted in New Britain Herald, , New Britain on Wednesday, 27 June 2018 20:02. Updated: Wednesday, 27 June 2018 20:05.